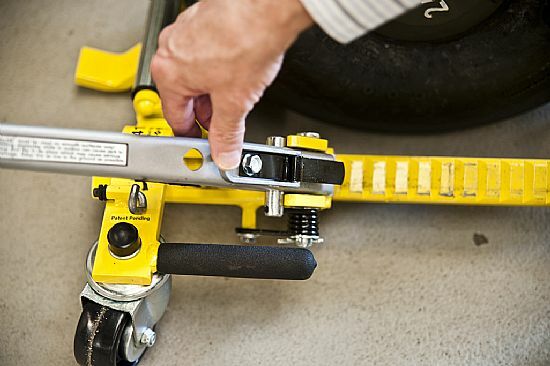 GoJak® operates on the principle of a quick action, bi-directional, double-pawl ratchet. 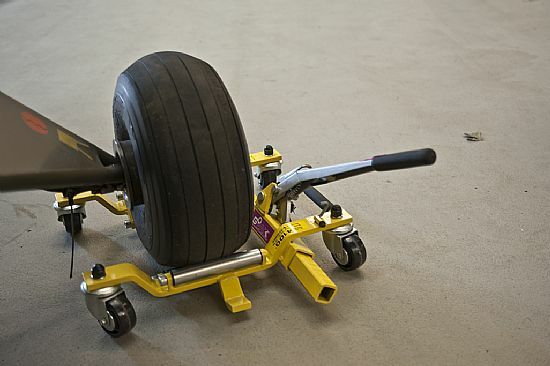 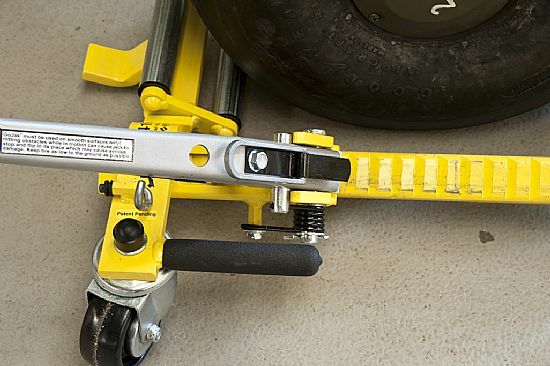 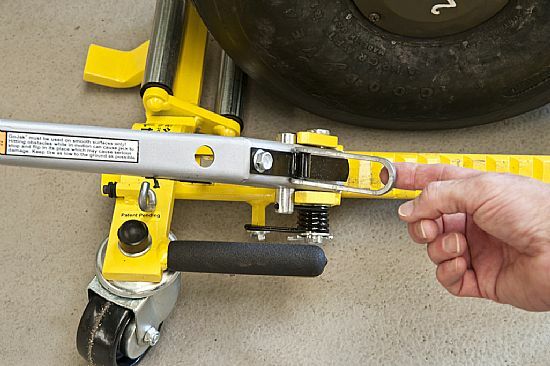 Mechanical leverage applied to the hand operated handle progressively “squeezes” the aircraft tyre between the double rollers until the tyre lifts smoothly off the ground. 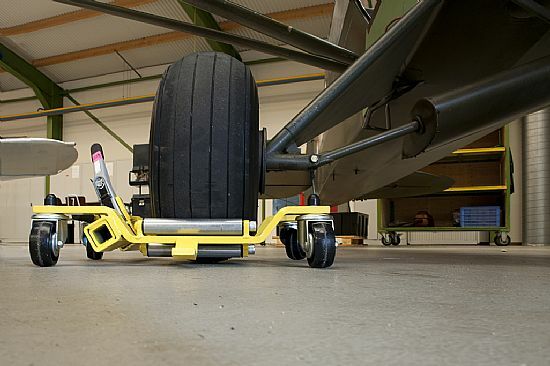 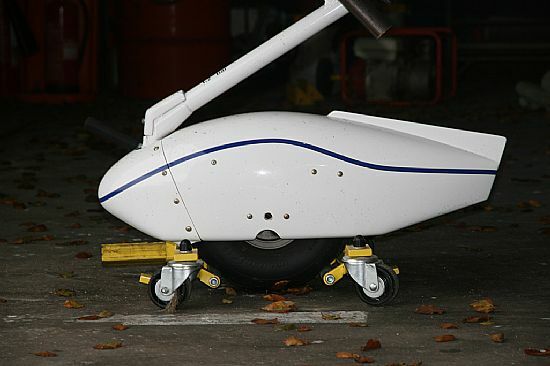 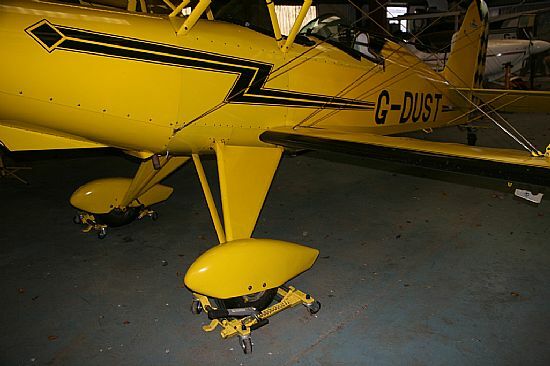 The rollers touch only the tyre - no contact with the aircraft's frame or undercarriage is necessary. 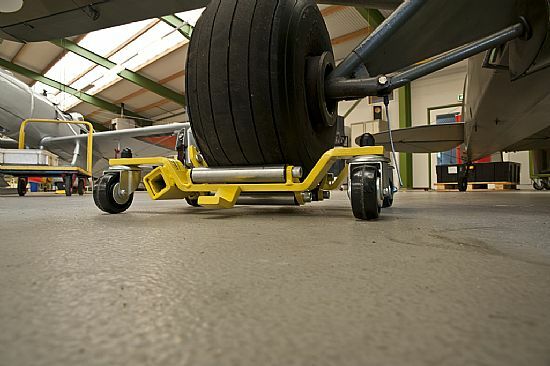 The low centre of gravity after lifting helps make the GoJak® safe and stable in use. 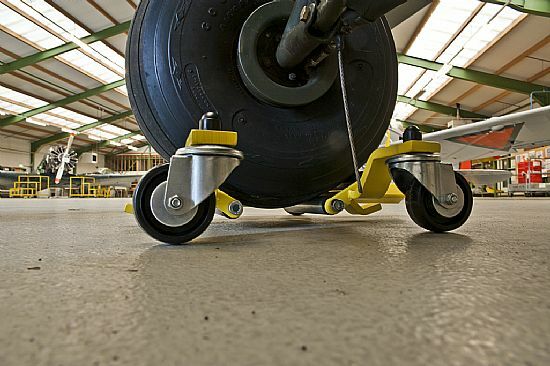 It's purely mechanical design eliminates the need for electric power, compressed air or slow and leaky hydraulics. 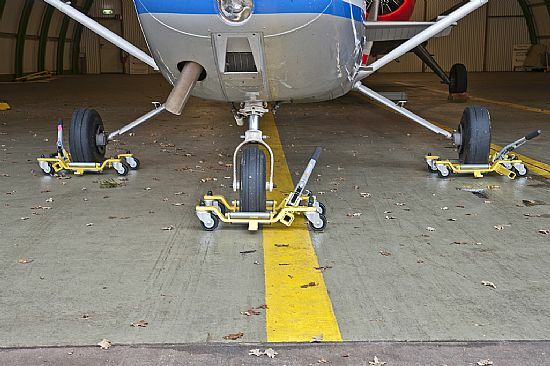 The GoJak 4100 has been specially designed for light aircraft of all makes and sizes whether it has a tricycle undercarriage or a tail dragger. 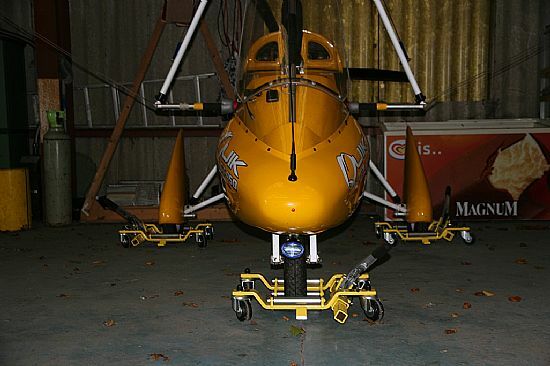 Considerable work has gone into the design of the 4100 which cannot be compared to any other similar looking product on the market. 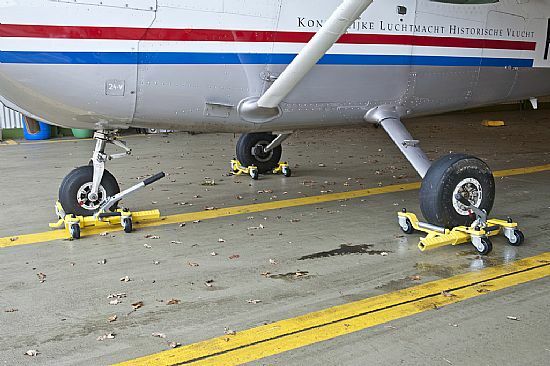 Wheel raised off the ground just enough to move aircraft safely.